Projects – Ts’elxwéyeqw Tribe Management Ltd. Please fill out this questionnaire to give us feedback on the recent engagement and vote regarding the Kinder Morgan Mutual Benefits Agreement. Your input is appreciated! 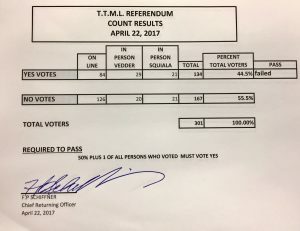 Today, the Ts’elxwéyeqw Tribe came together to vote on the Kinder Morgan Mutual Benefits Agreement and the result is a NO vote. This decision is following years of research, negotiation, and dialogue with members. We thank everyone that came out to vote and was engaged throughout the process. We will work on behalf of members to honor this decision and to explore all options available to protect our territory. The final tally is below. Members can now vote in-person on the Mutual Benefits Agreement. Remember if you cannot make it in-person there is still time to vote by phone or online. Polls close at 8pm tonight! Cast your vote! 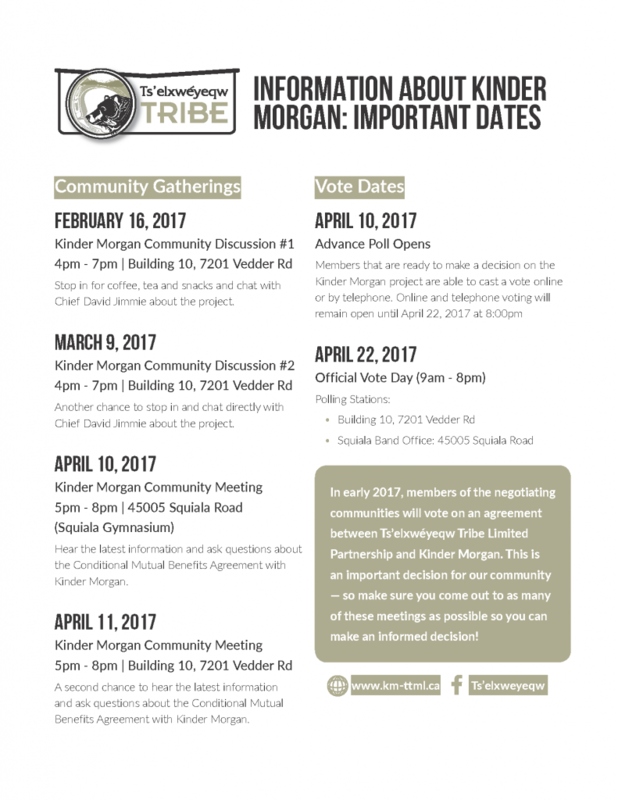 The below video explains how to vote on the Mutual Benefits Agreement with Kinder Morgan online. 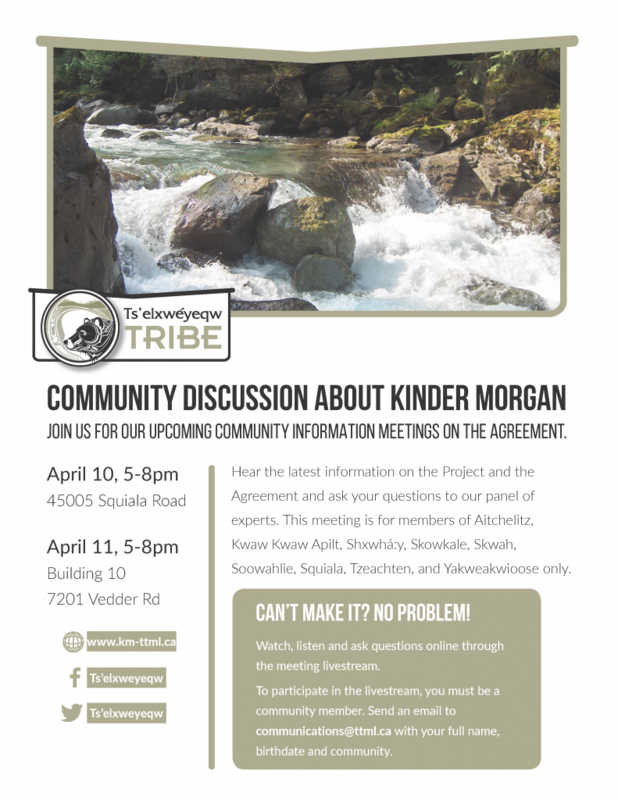 Please join us here from 5 pm until 8 pm for a community information meeting to update Ts’elxwéyeqw members on the Mutual Benefits Agreement with Kinder Morgan regarding the Trans Mountain Expansion Project. When asking a question please select a username which includes your first and last name so we know who is speaking, and the panel can address you. Please note: Profanity and disrespectful comments will not be tolerated, and we reserve the right to delete or block comments.